There comes a certain point in time when we don’t like to admit our age. We can fight it or hide it as much as possible, but unless we completely avoid our children, the truth eventually is revealed. When standing next to your thirty year old child, it is impossible to cover up the lie by more than a few years. I look at the three of you and reflect upon what delivered you to where you are today. Was it a specific plan, an accident, or a very circuitous route? I decided to look in your memory boxes for clues—two of which still reside here. Today I opened Jamie’s. Jamie, you are the only one whose career was planned at a very early age. Except for a moment in first grade when you wanted to be a dentist, you always wanted to be a teacher. (Maybe the dentist was a decision arrived after seeing Santa’s elf Hermey in “Rudolph the Red-Nosed Reindeer.) In all the class assignments where you wrote about what you wanted to be when you grew up, the answer was always “a teacher.” Sometimes it was because you wanted to help kids learn while other times it was all about the chalkboard. It took time and persistence to become a teacher with “the class I always imagined,” but you never gave up that dream. I am proud that you enjoyed teaching in poor districts where you felt you made a difference but I also know how difficult it was to work where the supplies and sometimes the support were limited. You have a great work ethic and I know how much the children and parents appreciate your efforts. You have great ideas and want your students to excel and enjoy your class. Watching and listening to you discuss your day reminds me of a time when you were not so happy about your assigned teacher. It was at the end of second grade when your report card came with the name of your third grade teacher included with your grades. You were not happy. You said you wanted to stab yourself! But it turned out she was a great teacher, so I encouraged you to tell her. 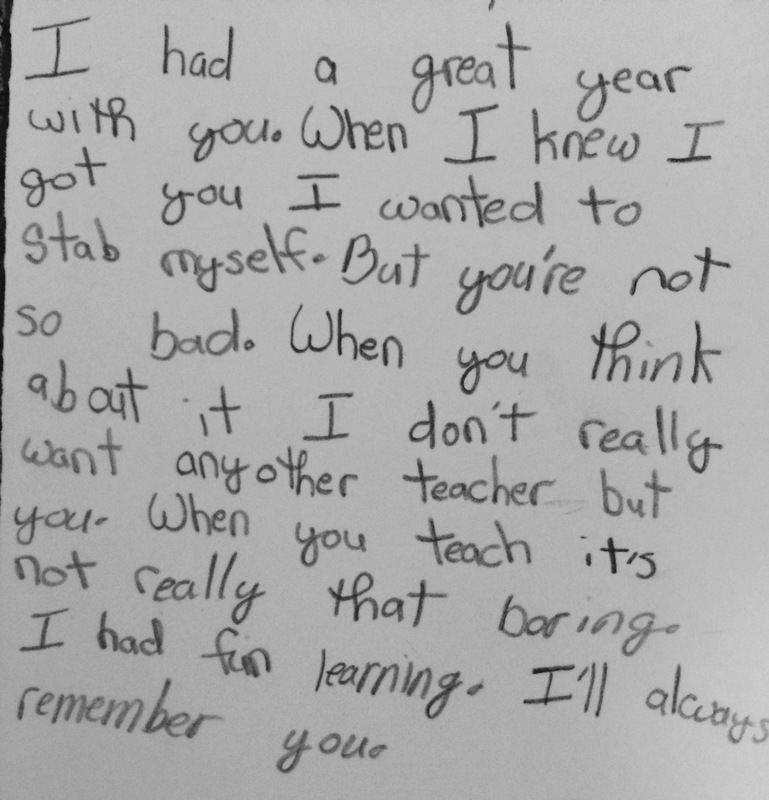 I hope that someday you get a letter like this from one or many of your students. While it made your teacher laugh, I know she was happy with your honest sentiments. 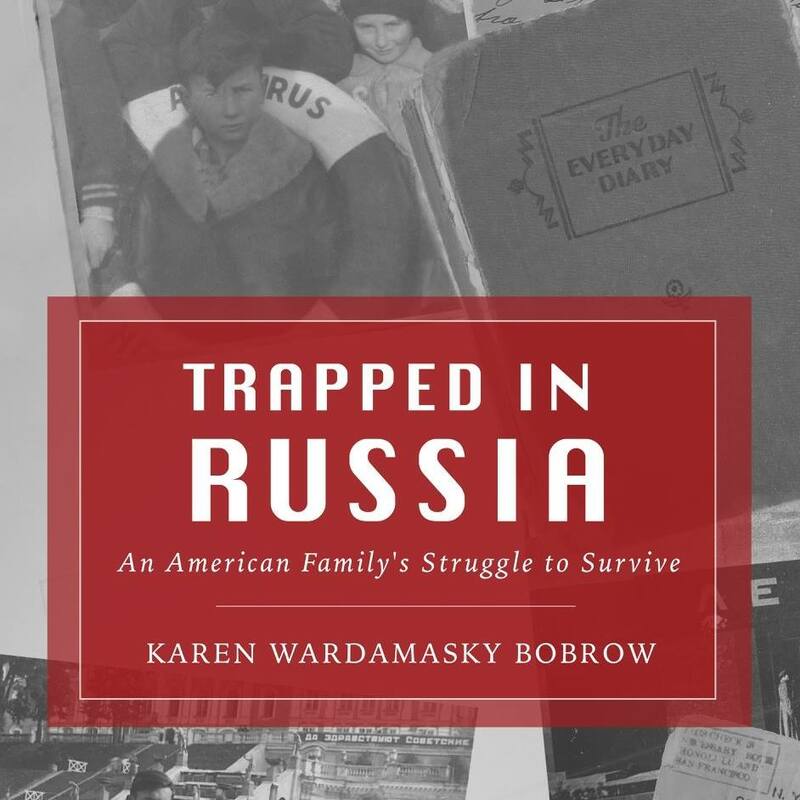 We came from a family of writers. You may have seen the album filled with notes from my brothers and sisters to each other, the tooth fairy, Santa, and Grandma and Grandpa. Grandma would find them under a pillow, on the floor, or sailed, paper-airplane style, down the stairs. Hopefully someone knows where to find them. I thought it was a great idea, so over the years, I collected your notes and some of the cuter assignments from your early school years. I am going to choose a few of my favorites for you all to see. Kelly is the first victim. 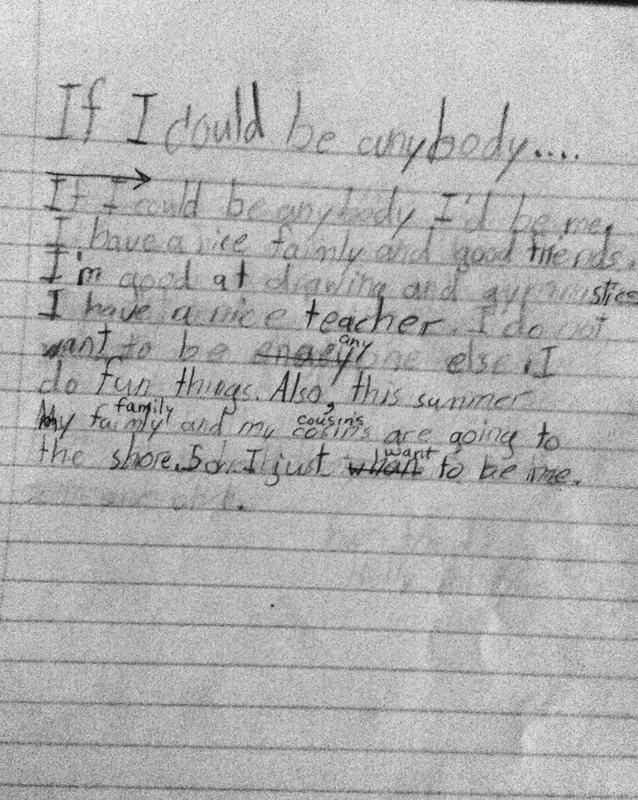 In second grade, Kelly was given an assignment titled: If I could be anybody. If I could be anybody I’d be me. I have a nice family and good friends. I’m good at drawing and gymnastics. I have a nice teacher. I do not want to be anyone else. I do fun things. Also, this summer my family and my cousins are going to the shore. So I just want to be me. That year, you had Mrs. O’John. I do not believe she ever had a student who didn’t love her to death, and we were a lucky family to all have had her. She was kind and sweet and loving, and I can only hope that Jamie’s students feel the same way about her in years to come. The shore vacation was one of our trips to Long Beach Island with the Duffords. That is a subject for another time. Enjoying gymnastics was probably inherited from Aunt Ellen and certainly not me. I detested gymnastics and had a few tricks up my sleeves to avoid that class. Again, that is a discussion for another day. As a mom, for me and now for you, having your child say that she does not want to be anyone else makes me feel like I was doing a good job—at least in 1992. Do you still feel the same way, Kelly?